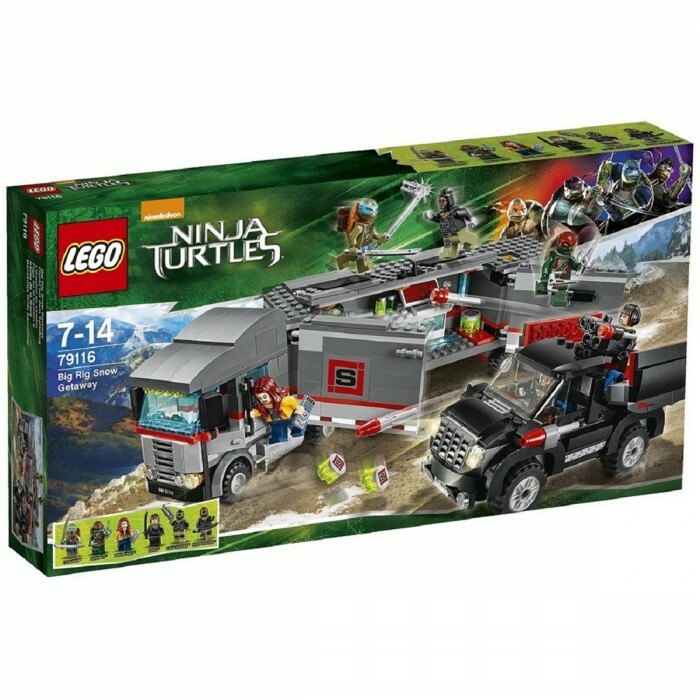 Rescue April and escape in the Big Rig! The Turtles have come to the rescue of April and are escaping in the bad guys’ Big Rig truck. Karai and the Foot Soldiers are in hot pursuit in a super-slick black SUV so there’s no time to waste. Speed away with April hanging onto the side of the driver’s cabin. Grab your weapons then take the Turtle Power to the roof for a battle with one of the Foot Soldiers. Swerve to avoid the flick missiles fired from the SUV and tip ooze barrels into the bad guys’ path. When you’ve evaded the Foot Soldiers, open up the sides and roof of the truck to check out the amazing mobile lab! 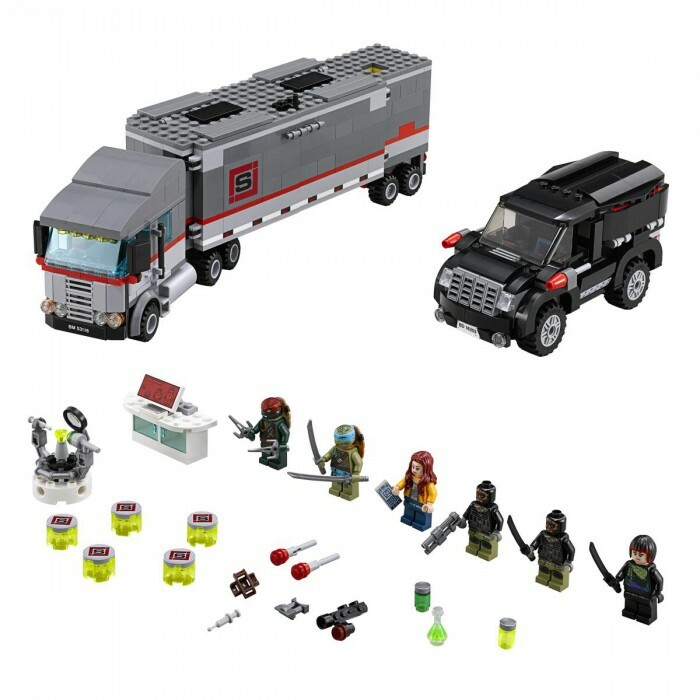 Includes 6 minifigures with weapons and an accessory: April O’Neil, Raphael, Leonardo, Karai and 2 Foot Soldiers. - Help April hang on to the side of the truck cabin and power away!